Right now, it's not a huge thing by any stretch... yet. But, for better or worse, this does exist! Earlier this month, Japanese Twitter user Miomio3030 uploaded images of a Pomeranian with unused faux lashes. The image, which you can see below, was retweeted over ten thousand times. The lashes were placed above the critter's eyes—instead of, you know, actually applying them to the pup. 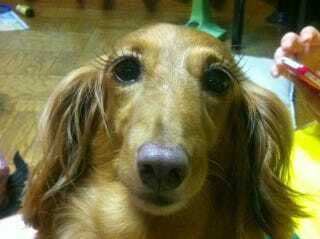 Online, many found the result rather humorous, saying the lashes made the adorable dog even cuter.